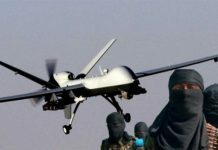 The United States military confirmed Tuesday no American soldier was killed or injured in southern Somalia as claimed by the Islamist militant group, Al-Shabaab. The U.S. Africa Command (Africom), which oversees American troops on the continent, dismissed the report as incorrect that the insurgents killed the American soldier on the outskirts of Kismayo during a gun fight early Tuesday. “We are aware of the reports, but they are incorrect. No U.S military were killed or injured in Somalia, as alleged in the reports,” Africom spokesperson Samantha Reho told Xinhua. 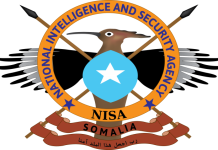 The militants through their radio station, Andalus had reported that the American soldier was killed in a gun battle that took place outside Kismayo town on Tuesday morning. 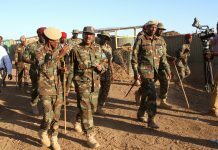 The allegations came amid intensified security operation by the African Union peacekeeping mission (AMISOM) backed by Somalia National Army (SNA) on Al-Shabaab controlled areas in the Lower Shabelle region, destroying several militant bases, checkpoints and explosives including an FM station run by Al-Shabaab. The allied forces have ramped up offensives against the militants as the African Union forces continue with the drawdown which started with 500 troops last December. Next articleMadaxweynaha Puntland oo kormeeray khaar kamida Xarumaha maamulkiisa.